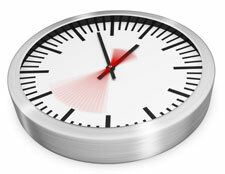 Do you ever feel that there just isn’t enough time in the day to do everything you need to do? Between jobs, families and other commitments, many people feel they don’t have any time left to do things they’d like…such as growing their own cannabis. So now the question is, can those of us with so little time available still grow our own weed? Yes! People with little/no free time still grow their own weed without sacrificing much of their precious time! And those of you who are already growing can get back more of your time, often by making small changes so your growing system works harder for you. I’m Really Busy, But I Still Want to Grow! There is a staggering amount of nutrient systems available today, and many of them also recommend you use an array of supplements (as many as 10!) to go with those nutrients. 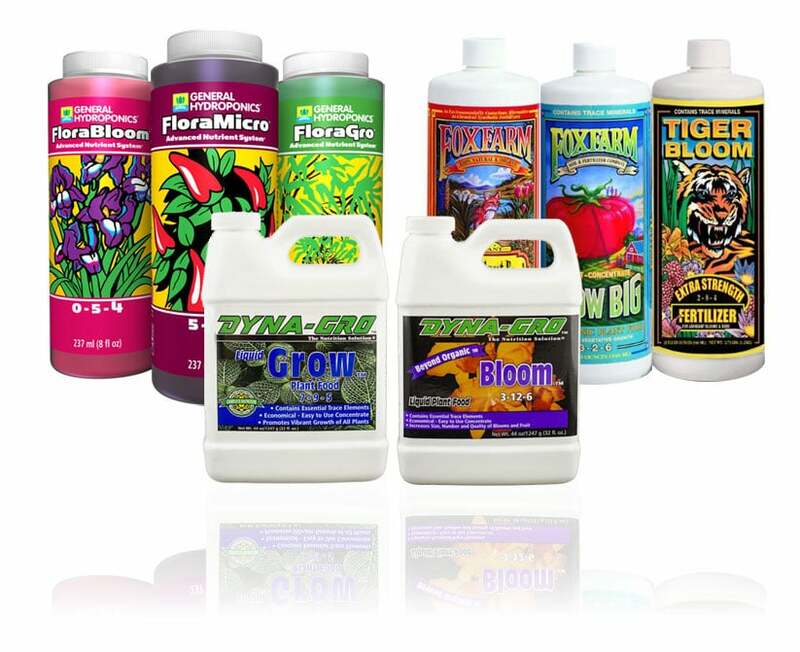 The sad truth is that in many cases, these supplements are failing to provide tangible results in addition to wasting the time of the grower! 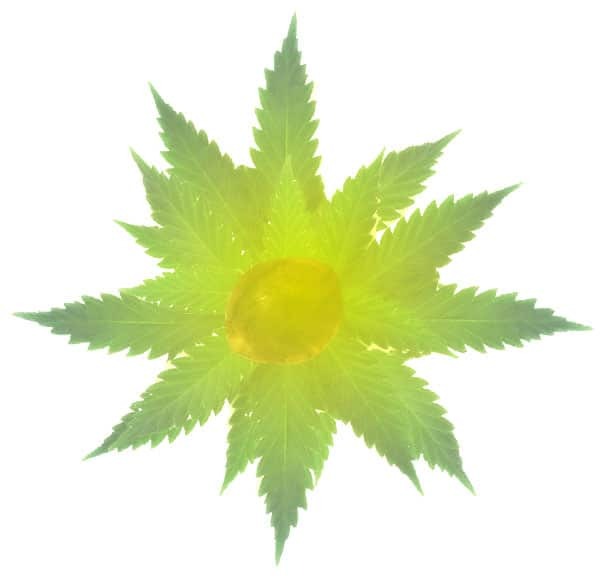 We’ve also seen many growers who just ignore all of the cannabis-specific nutrients and try to use things like Miracle-Gro or their own concoctions. 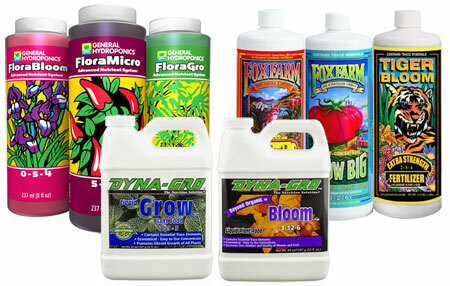 Most of the time, these growers end up regretting the time they spent using these nutrients. Sticking to a basic nutrient line and only adding supplements as needed will save you as much money as it saves you time! Plus, it will give you a basis for comparison. This means that if you do decide to go back to using a specific supplement, you’ll at least know how your plants tend to grow without that supplement. If you don’t notice a difference, it’s probably not doing much! Eery method of growing has its pluses and minuses. Cannabis grown in coco coir or hydro grow faster than in soil, but many growers claim that cannabis grown in soil tastes and smells better. DWC (Deep Water Culture) – In short, hydroponics or growing your plants in water. This method uses a reservoir which means you can potentially spend longer periods of time without having to mix nutrients for your plants. The plants also grow faster in this method, so you’re spending fewer actual days growing. Soil – Although plants grown in soil don’t grow as fast as in DWC or coco coir, soil has the potential to save growers time mixing nutrients. When the soil is made properly, all that needs to be added for most of the grow is water. Coco Coir – Plants grow faster in coco coir than in soil, but since coco doesn't have nutrients of its own, plants need to be given nutrients on a regular basis. When it comes to mixing nutrients, coco will likely take more of your time than DWC or amended Soil. 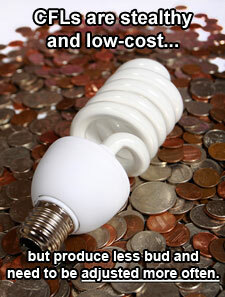 CFLs and T5 lights are both amazing at what they do, and they have great cost efficiency. However, that cost efficiency has a price, and that price is power and time! 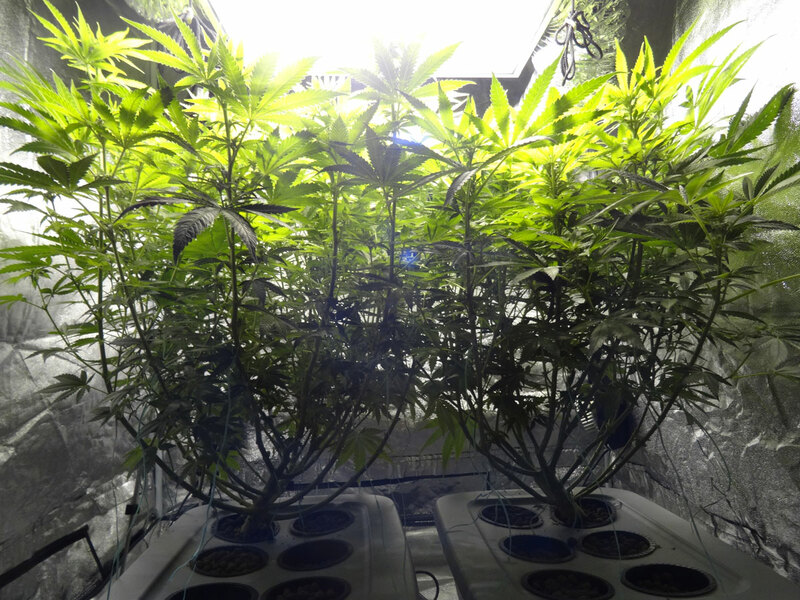 It's common knowledge that CFLs don’t have the pure power of a LED or a HID (High Intensity Discharge, like a HPS or MH); that’s why they’re used more in smaller stealthy grows. 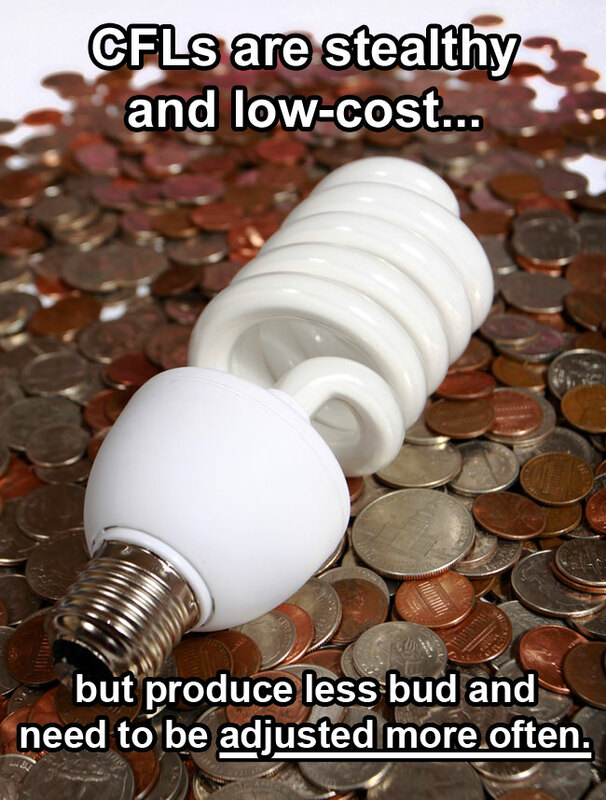 CFLs and T5s only become a time-sink when you realize that they need to be kept fairly close to the plants (4-6 inches away). This is because the amount of light they produce drops off quickly as they get further away from the plant. The light being unable to go far is called ‘low penetration’. The result is that growers end up spending more time adjusting these lights to make sure they’re close enough, or training plants to grow flat under them. Meanwhile, most LEDs and HIDs provide a much wider angle of light that has ‘high penetration’. Light from a HPS, for example, can ‘feed’ plants over a foot away, while still giving some light to leaves under those directly exposed. 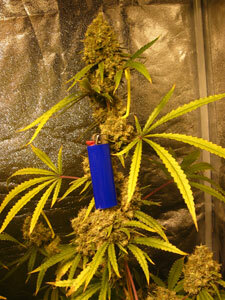 The end result is that you not only get bigger buds, but you spend a great deal less time adjusting your lights. As many of you know, Nebula and I are indoor growers and we really like it that way! However, there is no denying that a plant grown outdoors in good soil can pretty much do the job itself. As I said earlier, soil can save you time when it’s amended correctly. We also went over how adjusting your lights can take up more of your time. Now imagine if we had a plant outside in well-made soil (only needs water) with a light source that never needs adjusting (the sun). If the grower doesn't train the plant, the only work necessary is watering and harvesting in the best case scenario. This isn’t the case usually as plants and experience vary, but practice can get one closer and closer to this reality! Some strains give you potency that will knock your socks off. Some strains are really fragrant or develop really frosty buds that are aesthetically pleasing. Some are super-resilient or grow exceptionally fast. Then there are the strains that are a mixture of all those things. These strains are potent, fragrant, beautiful, fast-growing and resilient. Starting a grow with a strain like this means you will spend less time trying to fix problems, and fewer actual days of plant growth. In life, you get a set of genes and you have have to do the best with what you’ve got. When you’re growing cannabis, we get to pick our genes! Why not pick genes that are good and save us some time! I know it might sound like I’m giving you info you already know, but I only thought to mention this because I caught myself breaking this rule. One day after making nutrients for my current plants, it occurred to me that I got up for bottles 4 separate times…that’s once for every bottle I use! As soon as I realized this, I moved every bottle to a more convenient area, and the next time it went noticeably faster. If you find yourself moving around your grow area a lot to get to the same things (nutrients, pH tester, twist-tie, etc. ), it’s a sign they need to all be closer to where you do your work. 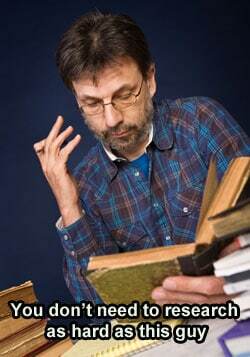 This might sound like another no-brainer, but that’s the case with a lot of what we consider common knowledge! 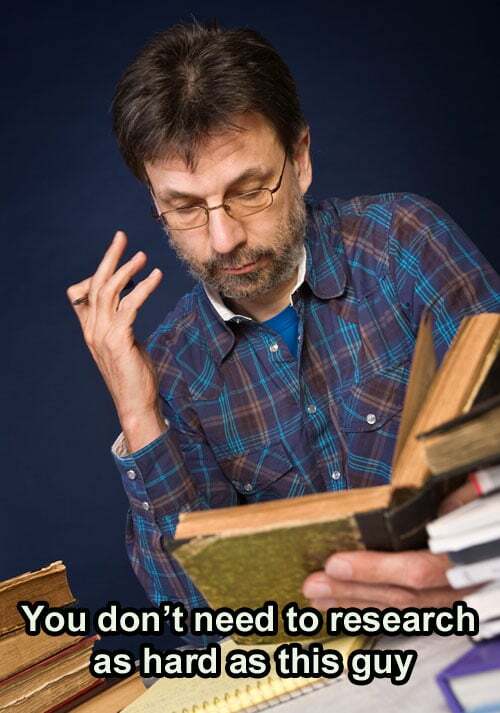 A bit of research has saved me from trying things that wouldn’t have worked to begin with. And not doing research has cost me hundreds of dollars and entire grows. For example: I tried growing a cannabis plant to full term in an Aerogarden without knowing anything about how the plant actually grows. Doing research after it failed showed me that my idea was poor at best, and it cost me lots of money (almost $300 at the time) for a system that just collected dust afterwards. My entire system as it is now cost about 3x more than that, but it also produces about 25x more bud (literally!) than the expensive machine I bought all those years ago. That’s definitely an improvement worth making! Fortunately, we live in a time where there are tons of resources available – including GrowWeedEasy.com – to make sure that no one has to blindly search for answers when it comes to cannabis growing. No matter how you get the info, starting with even just a bit of it will save you tons of time and likely make for a better harvest! If you need a reference or you somehow ended up here without reading the article, you're in luck! Here's the whole article boiled down to just the steps! 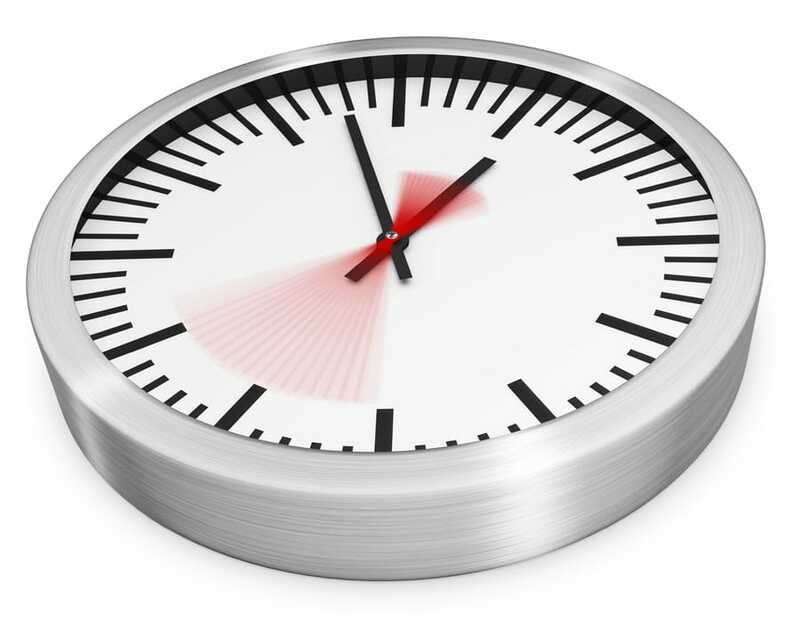 We also have a very active Google Plus community that is equal parts friendly and helpful! What Nutrients Do I Need to Grow Cannabis?